In our increasingly complex, technological world, hospitals and doctors have become major consumers and providers of sophisticated medical equipment. While health care professionals grow accustomed to their changing environment, little has changed at the points of delivery where medical equipment is accepted. Many clinics, offices and other facilities lack appropriate loading docks and/or personnel to handle receiving bulky, high-tech shipments. There are several actions you can take in packaging to provide a seamless transportation experience. Understand the protocols of medical facilities before crating. Take time to learn the particulars, if possible, about where the package will finally land. That way your package can be designed to optimally match the conditions it will meet at delivery. Design packaging for ease of handling and safety. Reusable crates can be bulky and difficult to move but they provide additional protection. Corrugated containers are lighter and disposable but are more susceptible to damage. Work with your shipper to exact a balance between the opposing needs and find a workable solution. Where appropriate, select more permanent packaging. For instance, ATA cases can be used repeatedly, are easy to move around and may provide the safest, most cost effective option. Read More Are Your Wooden Shipping Crates Made With Precision Engineering? Facilitate convenience by making it easy to unload once it arrives. Make it simple to open. The design should be straightforward and intuitive so that hospital and clinic staff can open the crate with ease. Be aware of the environment. Unpacking needs to be suited to the surroundings at arrival. If the equipment is heavy, make certain that the necessary ramps and supports are provided or will already be there when the equipment arrives. Think ahead. If ramps and supports are required, take care to see that the correct casters and wheels are being used to unload. Nothing is more frustrating than thinking equipment will arrive in "plug and play" condition only to find that major installation steps are required. 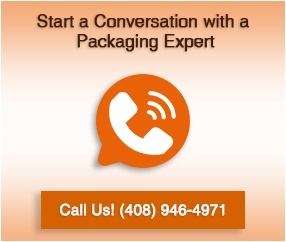 Consult with your packaging partner to determine how to ship your medical equipment as close to usable as possible. Send all related accessories in the same container to avoid confusion or unnecessary delays. The instruments may be complicated but when it comes to medical equipment packaging and shipping, simplicity is the name of the game.